After receiving samples from 90+ for these reviews, I randomly decided to add their Lot 126 to the mix (because I love it) and purchased it myself. However, this is their 2014 vintage and they're currently on the 2015. It is 100% Sauvignon Blanc from the Sancerre region of France's Loire Valley. If you bought it under the source label it would cost you $28, but as 90+ it'll normally cost you $21. At Luke's of Cape Cod we actually sell it for $17. The wine is a light lager yellow. The limestone in its marl soil shows through on the nose with chalky minerality. There's aromas of white flowers, lemon, and the juice collection from a fruit salad. In the mouth it's light bodied with high acidity, and has both a smooth body and a crispy bite. The palate shows flavors of lemon, grapefruit and cracked stone. It finishes super dry with grapefruit and cracked stone. Goat cheese brie cheese on Saltine crackers would put me in heaven right now. 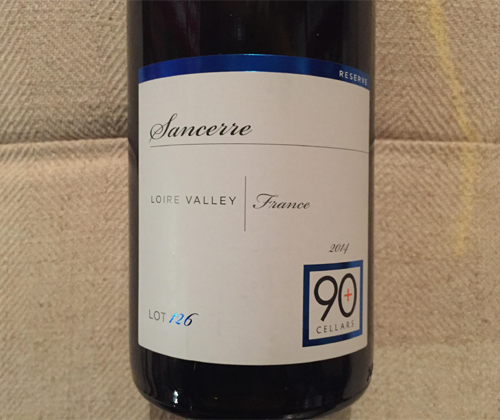 This is an awesome, awesome Sancerre for $21. It beats the crap out of the more popular ones at that price range, and I'm giving it a perfect score. Wow, man. All of these wines 90+ Cellars Month for were awesome! I need to give a huge thanks to 90+. I contacted them in January and explained that we were expecting a baby in May, and I was looking to dedicate the month to somebody that way I could get the entire month of reviews done way ahead of time. Without hesitation they were on board and excited about it. Thank you, 90+. 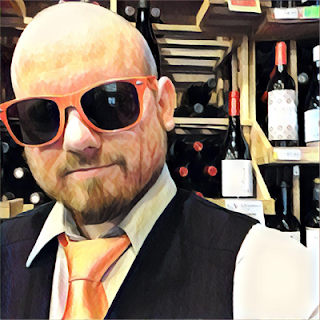 I already loved your wines, but now I have a deep appreciation for you guys as well.